The following is a summary of our recent FS Insider podcast, "Retail Apocalypse Picking Up Steam, Says Bloomberg’s Matt Townsend," which can be accessed on our site here on iTunes here. 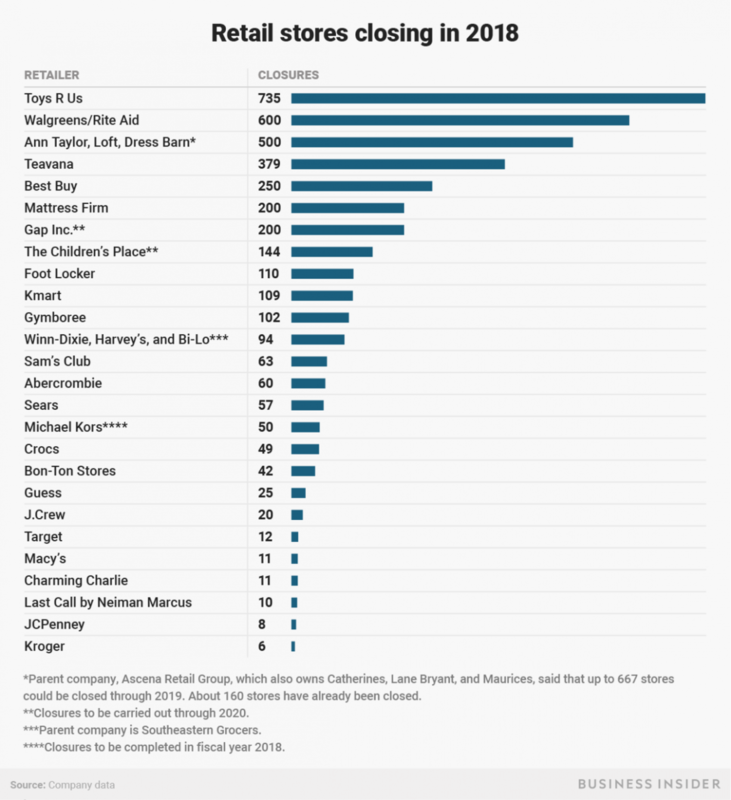 Last year we saw more than 7,000 stores close their doors, more than twice the amount of stores that opened in the same time period. Question is, with consumer confidence at record levels and the US economy showing strength, why are so many stores having trouble? There are a number of trends at work but the root cause of America's “retail apocalypse” mainly comes down to the following: retailers took on too much debt and now the bill is coming due. Many traditional brick-and-mortar retailers have very heavy debt loads with nearly $1 trillion coming due over the next 3 to 5 years. This debt load is insurmountable for many in the sector. Many of these companies are referred to as zombie companies, Townsend noted, meaning that if it wasn’t for the low-interest rate environment that has made it easier for these retailers to roll over or service their debt, they probably would have gone out of business several years ago. We’ll see more stores shutter their doors at the current pace, Townsend noted, and the trend will probably even accelerate in 2018. Toys "R" Us is already in the process of liquidating its entire US fleet with other large retailers set to collectively shutter thousands of stores this year. To hear this and all other FS Insider podcasts, click here for a free trial. For more information about Financial Sense® Wealth Management and our current investment strategies, click here.